Why do we need forests? Where are gold and gems mined? 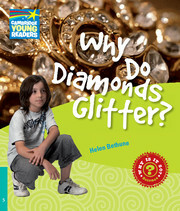 You can find the answers to these and other questions about the world's resources in Why Do Diamonds Glitter?